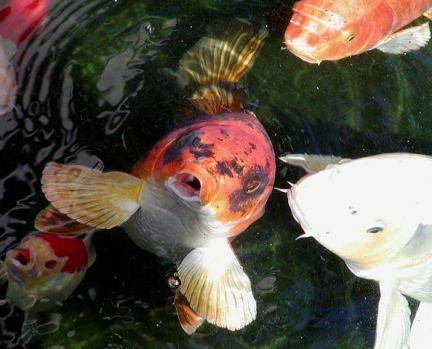 The family had cherished their finned friends in the garden pond for more than 30 years. Turton has been devastated by the loss of his favorite hobby, which had been helping him deal with the loss of his twin brother to cancer just last year. One of the first things he had done when he and his wife moved into the home was to add the pond to the front yard. Turton and his wife, Pamela, had spent years collecting the fish. The pond had required a lot of time and was a labor of love to keep it cleaned and the fish fed and cared for. The fish had grown to recognize Turton and would come to the edge of the pool when they saw him. Turton feels that it must have been done out of malice for some reason. He and Pamela discovered the dead fish and the empty bottle of cleaner Tuesday morning. They immediately called police. Pamela reported that she had heard a splash in the pond during the night. There is no word on whether the Turtons will restart their collection. Certainly the many children who would come by to look at the fish will also feel the loss. The Mola Mola Animal Video Of The Day!! !